VATICAN CITY (CNS) -- Pope Francis wished a happy 90th birthday to the "father of liberation theology" and thanked him for his contributions to the Catholic Church and his love for the poor. As Dominican Father Gustavo Gutierrez prepared to celebrate his birthday June 8, Pope Francis assured him of his "prayers in this significant moment in your life." "Thank you for your efforts and for your way of challenging everyone's conscience, so that no one remains indifferent to the tragedy of poverty and exclusion," the pope wrote. "Thank you for your efforts and for your way of challenging everyone's conscience, so that no one remains indifferent to the tragedy of poverty and exclusion,"
Father Gutierrez, a Peruvian, is one of the principal founders of liberation theology, which rose to prominence in South America in the 1960s and 1970s as a way of responding to the needs of Latin America's poor and as a call for freedom from unjust social structures. In the 1990s, the Congregation for the Doctrine of the Faith, then led by the future Pope Benedict XVI, expressed concerns about some currents of liberation theology, which he said were politicized and relied on Marxist ideas and analyses. Nevertheless, he praised liberation theology's zeal for social justice and the poor. Pope Francis has followed his predecessor's line, disagreeing with the movement's politicization while sympathizing with its concern for the poor. In the birthday letter, the pope thanked Father Gutierrez for his contributions "to the church and humanity through your theological service and your preferential love for the poor and discarded of society." "I encourage you to continue with your prayer and service to others, giving witness to the joy of the Gospel," he wrote. While the rest of us mourn this day! Imagine, sympathy for the poor as a sign of status. Wonder when GG canonization talk will start. Yes, I've had courses in this area. Catholic Church teaching reduced to the level of hooey but whole courses being taught so thus rising to the level of compassionspeak. Perhaps it should be me. I've discerned the need for someone to run government in a manner sympathetic to the poor and it should be me. I'll carry the burden of power and authority on my humble shoulders so as to hear the cries...blah blah blah...You get it. A power grab and nothing more. An attempt to replace one authoritarian group with another but using a Christian flavoring. When the Cardinals selected the new Pope Francis my first concern was that he was a Jesuit. The Jesuits in general were the leaders of the Communist inspired armed "liberation theology" movement and I met several when working in South America 30+ years ago. They were dead ringers for the Communist party members and the armed "Red Brigade",murders of Aldo Moro, terrorists in Italy in the 1970s The only difference today is that today Francis and the Jesuits substitute government intervention/anti-business communist/socialist theology for guns. 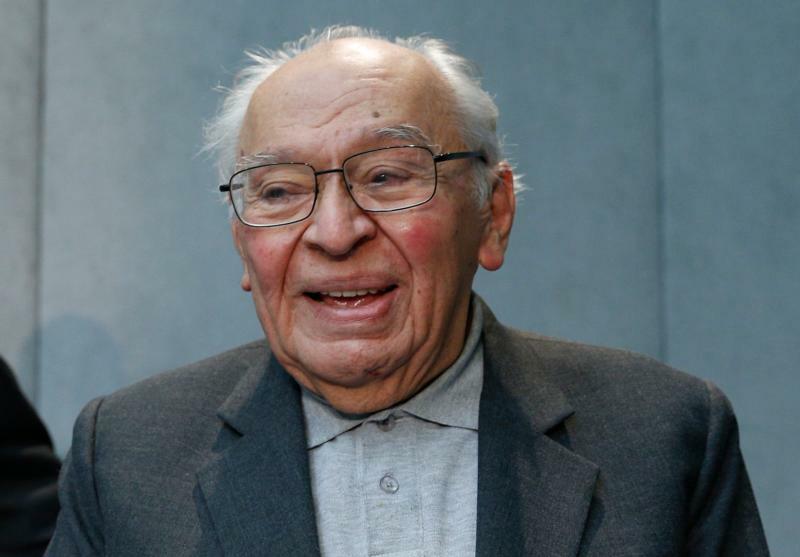 Dominican Father Gustavo Gutierrez taught people of goodwill new ways of worldbuilding. Happy Birthday. Ad Multos annos. God bless.